We love our electric guitars. Most musicians can play at least a little bit of one, and when it comes to recording or live, it's pretty normal to find a least a couple of guitar parts in an arrangement and on stage. 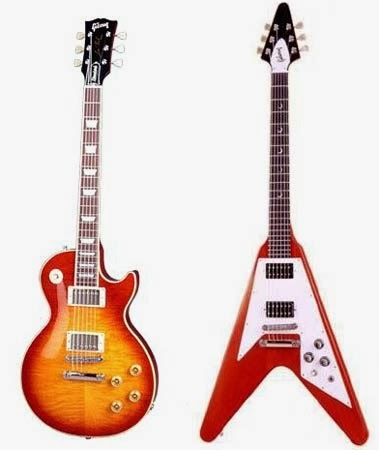 The problem is that it's pretty easy for guitars to clash with one another because they can easily live in the same frequency range. While we can and should make sure that the sound of each guitar is different first off (here's a post on how to do that), there are a few basic arrangement tips that can keep the guitars out of each other's way while providing a bigger sound. Here's an excerpt from my How To Make Your Band Sound Great book that outlines the process. "Most bands have more than one guitar player, so it’s important to learn how to refine your sound so your band sounds big and fat instead of loud and thin. As I said above, your tone controls on your amp are the first place to start to carve your sound so that it’s not covered up by the other guitar (or other band instruments for that matter), or that you don’t cover anyone up either. But with two guitar players in the band you have to take things to the next level. You have to make sure that the songs are arranged so the guitars stay out of each other’s way. If you listen closely to just about any recording by a popular artist you’ll see that this is just what’s happened in the studio already. If you can hear within the song (which isn’t always easy with certain types of music or MP3’s), this is what you’ll hear. 1. Each guitar plays something completely different. One guitar might be playing be playing full chords while the other is playing a line like The Eagles’ Already Gone. 2. Each guitar plays in different registers or voicings. If one guitar is playing an A chord on the 2nd fret, the 2nd guitar is playing it on the 5th fret. If one guitar is playing a line on the 5th and 6th strings, the 2nd guitar is playing the same thing only up an octave on the 1st and 2nd strings. Once again, Lenny Kravitz Are You Goin’ My Way is a prefect example. 3. Each guitar plays a different rhythm. If one guitar is playing long sustained chords (called “power chords” or in the studio, “footballs” because they’re whole notes that look like footballs when transcribed), the second one is playing a faster rhythm like quarter or eighth notes, again like the intro to Already Gone. If you playing in a cover band, you’ve got to start listening extra closely into the arrangement to hear these different lines, rhythms and voicings. This is where a high quality playback system and a CD really comes in handy because sometimes you just can’t hear the detail on an MP3. If your band is writing your own songs you’ll find that if you employ these techniques, the guitars will lay in better with the track and better support the vocals and rhythm section and make the song a lot more interesting to boot." To read additional excerpts from How To Make Your Band Sound Great and my other books, go to the excerpts section of bobbyowsinski.com. Another way to help get separation is to use opposite type pickups on each guitar (single-coil Fender against humbucking Gibson). not playing the same thing. In a perfect world (re: no egos, true teamwork, everyone dedicated to the SONG always coming first, etc.) the hardest nut to crack is still our ever-elusive search for our own Holy Grail of tone. A Visit With Nashville's "A Team"